Once you’ve decided to design your dream home, there are a lot of questions that will come to mind. It’s exciting, but the options will feel limitless, and the endlessness of choices can feel overwhelming without a guiding hand. Even more importantly, there are important factors that you may not have even considered yet. We know building on certain land will lead to its own unique issues. Fortunately, the Pacific Northwest Architects at Rhodes Architecture + Light bring twenty-three years of experience to the table. With this experience comes the expertise necessary to identify and address issues and questions as they arise, especially those specific to our area. Working with Architects who are knowledgeable, skilled, and experienced will help to ease your mind, will ensure that your interactions with your City and County are smoother, and provide the best results, so let’s go over five questions we regularly encounter, but you may not even think to ask. 1. Will there be any land-use issues? You may think you’ve found the ideal plot for your future home, but there could be issues that prevent you from building what you really want. These include land use and zoning regulations. Land-use issues are one of the first things you should look into, but do not fret if you haven’t considered this yet. We will take the time to review your site and look at applicable building and zoning codes, identify any restrictions, and pinpoint potential natural factors that could alter your desired plans. Our experienced residential Architects have studied and responded to the complex environmental codes that may govern how you can use your land. 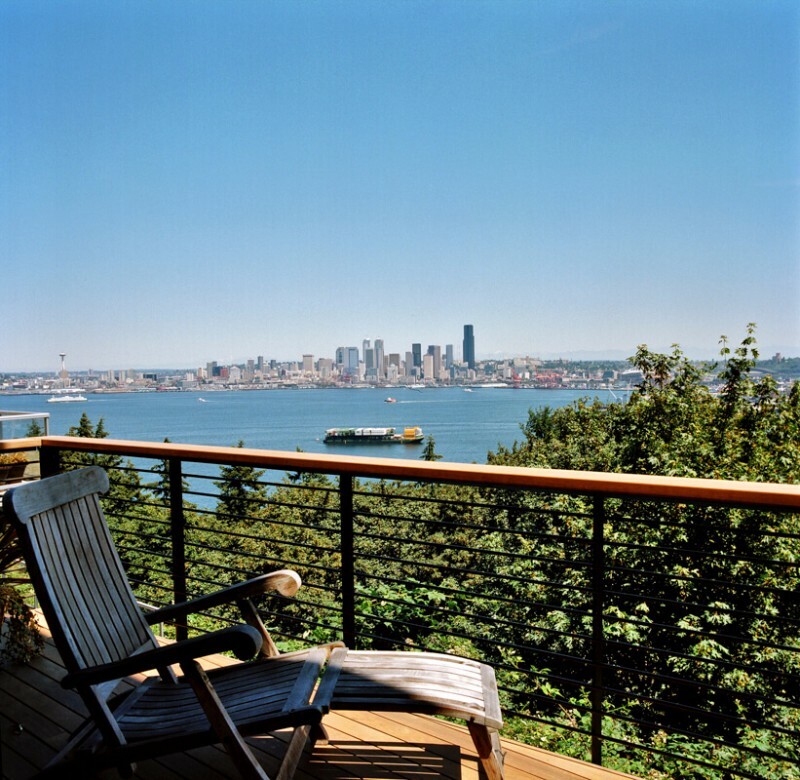 Our Pacific Northwest Architects have experience working with a wide range of cities and counties in the region and have been able to meet the requirements of many different jurisdictions. With experience comes critical knowledge of the changing building, land use, energy, stormwater, and environmental codes and requirements. Make sure to choose experienced Architects who you can trust, knowing that they will draw from their extensive experience to determine the best solution in each situation. 2. How do you get utilities to the property? Of course, securing gas, electricity, and water is essential. When you choose to build on land that’s away from urban resources and not connected to public utilities, this may be more difficult than expected. 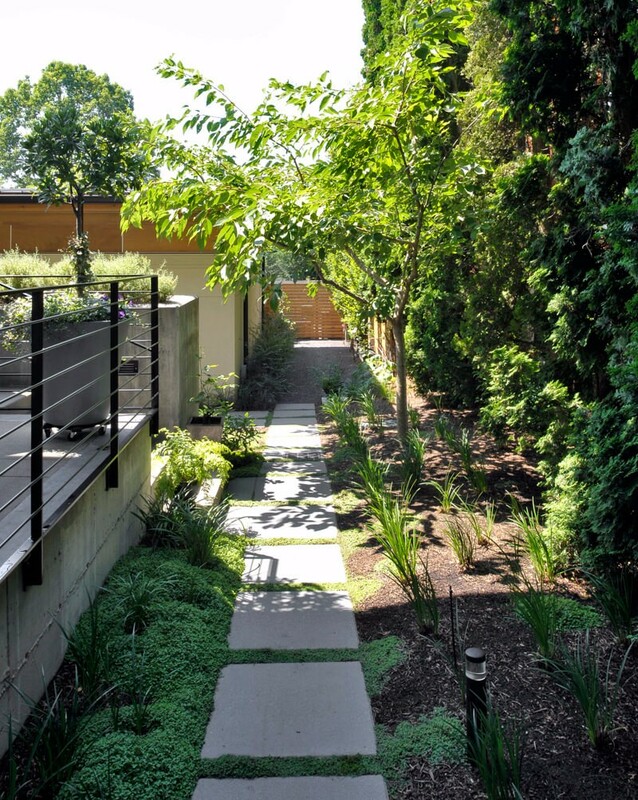 However, Pacific Northwest Architects who’ve planned properties on land in the region will have creative solutions ready. We understand the requirements of local utilities and cities for providing gas, electricity, water, and stormwater disposal for your site. When you are considering building “off-the-grid” other options may include space heaters or a wood stove to heat your home, solar panels for electricity, wind power, a propane tank, a generator, or building a well for water. You may even consider taking advantage of the famously rainy weather by looking into options for harvesting rainwater, such as via a cistern. This option will also make your property more sustainable. Discuss these in detail with your Architect to ensure you select the best option for your land, lifestyle, and budget. 3. Will the environment surrounding my new home affect the design? 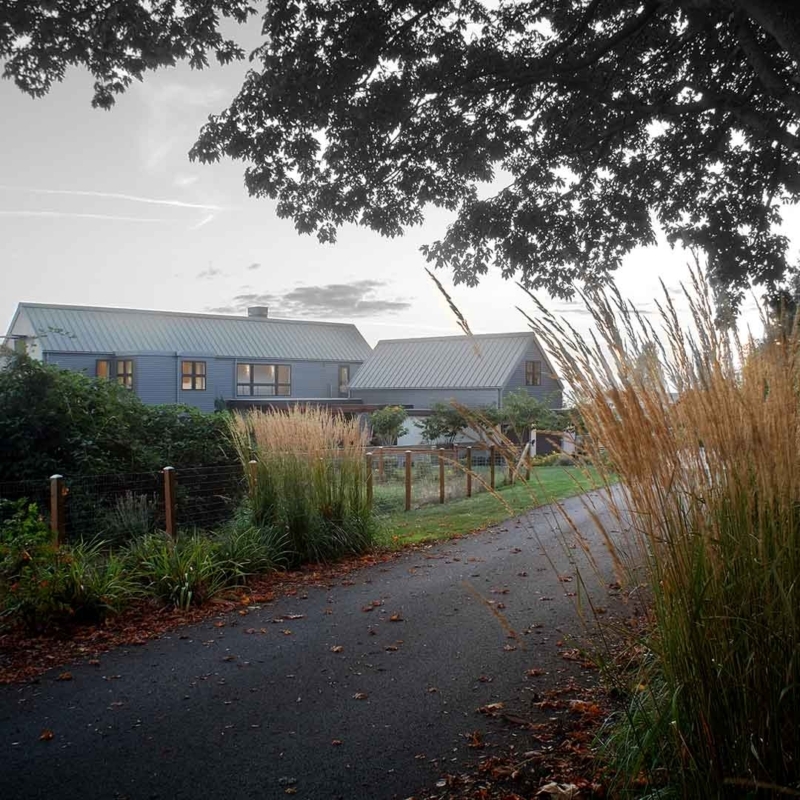 Rhodes Architecture + Light has extensive experience with regional environmental codes and understands how your land, slopes, adjacent land, waterfront, and streams will be handled by your local city planning department. Thankfully, professionals, such as our team at Rhodes Architecture + Light, will be able to advise you on the simplest and least expensive way to meet the growing complexity of land-use codes governing your use of steep slopes, locations near shorelines, bodies of water, wetlands, and other environmental factors. 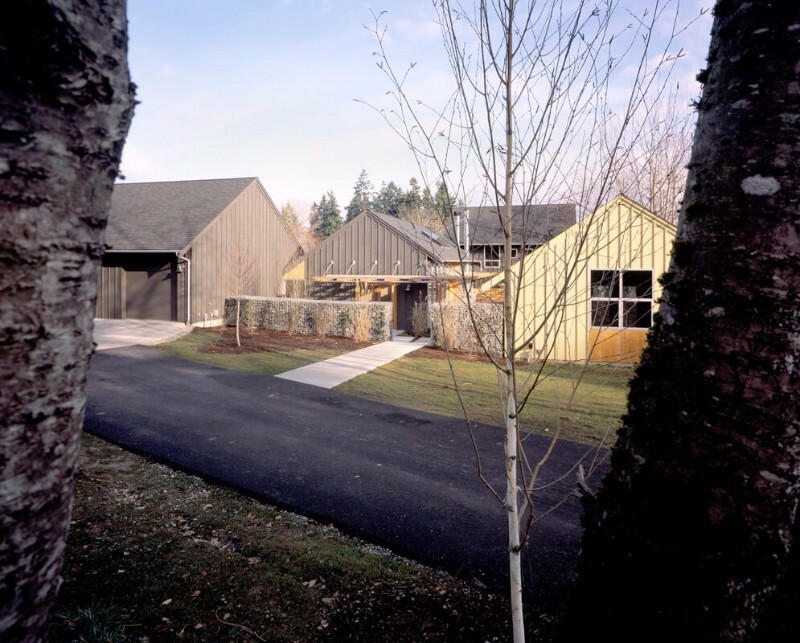 Our Pacific Northwest Architects also understand the application, review, and acceptance processes of many northwest cities and counties from years of experience. We can help guide you in the selection of land, the location of your home on land you have purchased, and the best ways to gain permits when common environmental issues impact your land and we design sustainably and efficiently to reflect the Pacific Northwest’s unique environment and our care and concern for it. 4. How should the house be oriented? The priority of Rhodes Architecture + Light is to build unique properties tailored to your specific needs and lifestyle. We like to listen. One technique used to achieve this goal is orientation, which is integrated into multiple services, from site planning to architecture to interior design and day-lighting. ● What makes the land special to you? ● Are there views you want to see as you enter and exit your home or from a special place (your kitchen window)? ● How do you plan to use the land? How should your house open to the land? For example, will you be adding an extensive garden, outdoor entertaining spaces, or do you plan to raise animals on the property? A great benefit of orientation is optimizing sun exposure to take advantage of the natural light. We study areas of the house and orient them, in discussions with you, toward the daylight best suited for activities within and to maximize passive solar gain and energy efficiency. Orientation means that east facing rooms receive morning light, while west-facing rooms get direct, early evening light. You can decide which rooms get daylight based on your lifestyle. This approach may also use the sun’s rays to naturally warm your home. Ideally, the house should be oriented in a way that avoids the harsh and cold winds of winter, but allows a refreshing, cool breeze in the summer. Overall, this makes the house more energy efficient and can reduce utility bills as well. Orientation is also used to provide the best views. Is there a sight you want to wake up to every morning? Then Architects will work to orient your home to maintain this coveted view from your bedroom window. Providing the best view depends both on the location of rooms, the placement and size of windows, and more. That’s where our experts can work their magic and bring your imagination to life. 5. How can this process run as smoothly as possible? Again, there are a lot of factors that go into designing and constructing a home, many decisions, and a group of (well-managed) professionals will have to be involved. Fortunately, Rhodes Architecture + Light also has plenty of experience managing and monitoring the whole process. For this reason, an architect agreement will reflect a comprehensive breakdown of the work that will be performed and the associated costs. 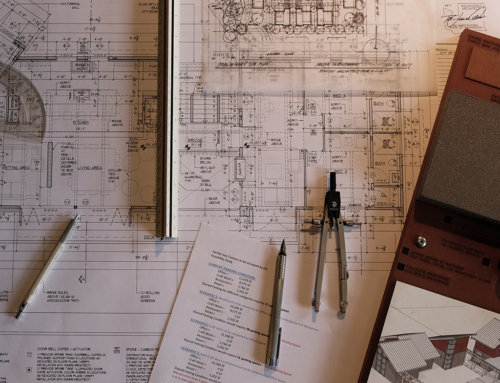 And, once it’s time to hand over the design plans to your building contractor, our firm will continue to lead the project to assure that your home is built to your exact specifications. You’re not on your own after the design plans are created. As part of our services, we will see your project through from concept to move-in day. This continuous involvement ensures that the finished project reflects the needs you expressed early on. To us, working with a homeowner-to-be is a close, intimate relationship that will receive our detailed attention and continued communication. We know questions will arise, so do not hesitate to speak out. We want your home to be a reflection of your personality and we’ll only achieve this by working together. Above are just five questions that commonly arise when we are working on a project. But whether you think to ask the above or not, we are prepared to address the specific needs of your architectural project.